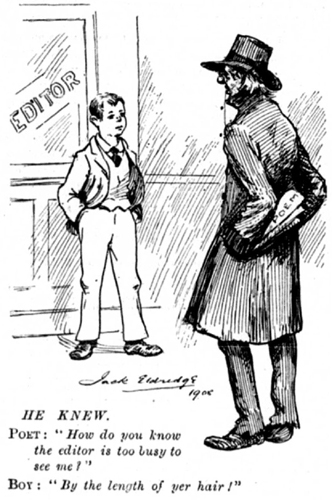 Literary Cartoon #12 - "He Knew"
This page contains a single entry by Perry Middlemiss published on March 19, 2012 7:32 PM. Poem: The Forlorn Author by Ambrose Gates was the previous entry in this blog. Australian Bookcovers #298 - Room Service by Frank Moorhouse is the next entry in this blog.